Laura Chapman is the NIHR Birmingham BRC Public Involvement & Public Engagement Manager. 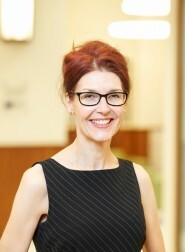 She has experience of championing diversity and inclusion from a career in Human Resources (private sector and NHS organisations) and conducting research with the public on readability/usability of Patient Information Leaflets for medicines. Her experience as a patient with a chronic disease for over 20 years has led to being involved in research personally and to a desire to involving and engaging others in research on a larger scale.